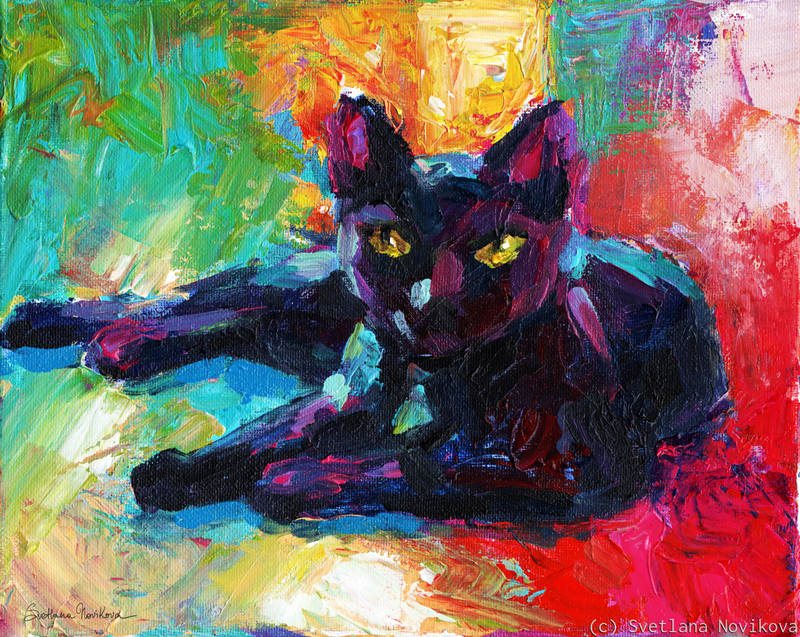 Colorful Black cat painting by Svetlana Novikova, all rights reserved. I accept custom pet commissions from your favorite photos. 9" x 11.25"11" x 14"13" x 16.25"17" x 21.25"21" x 26.5"25.75" x 32.5"